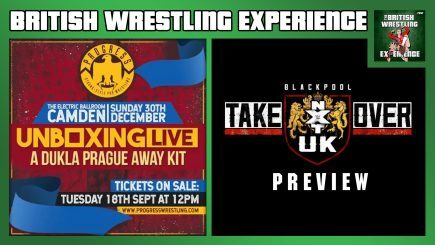 Martin Bushby, Benno & Jamesie review all the major happenings from the British wrestling scene including PROGRESS, RevPro, OTT, ICW & much more. 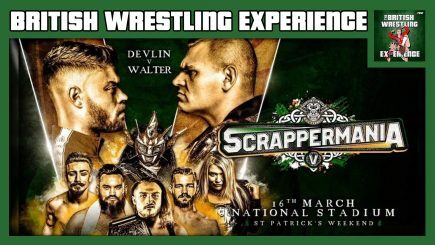 With Martin away, Benno is joined by Will Cooling to talk Fight Club Pro International Tekkers (Meiko Satomura vs. Mark Davis, Kyle Fletcher vs Daisuke Sekimoto) as well as all the news coming out of the show with announcements for the DTTI 2019 tournament. 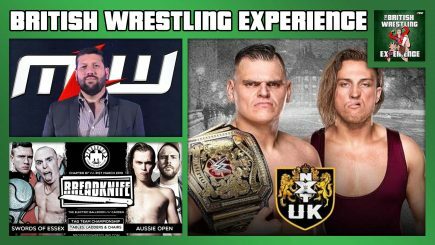 Martin and Benno are joined by Will Cooling of Fighting Spirit Magazine to talk Progress Wrestling Chapter 84 (Walter vs. Chris Ridgeway), NXT UK (Ohno vs. Walter, Bate vs. Gallagher) and the debut show from Breed Pro Wrestling. 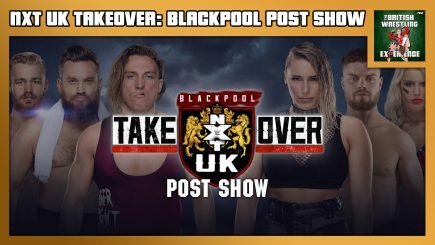 Martin & Benno are joined by Joe Lemon from Spotlight on The Indy Corner to review the first ever NXT UK TakeOver from Blackpool, England. They talk their favourite moments from the show, what worked and what didn’t. 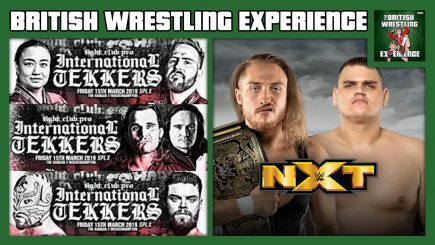 Martin Bushby & Benno are back to talk the first episode of WWE NXT UK including the highlights from the show, where it fits in the UK scene and the future of the brand. 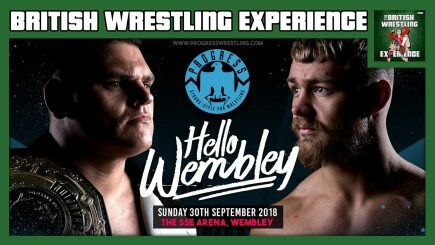 Martin Bushby, Oli Court & Benno are back to talk Progress Chapter 76: Hello Wembley (Eddie Dennis vs. Mark Andrews) with Benno giving his live report from the show. 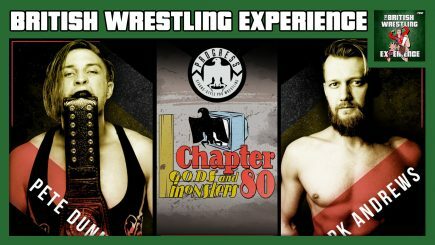 Carlos Romo (FKA Adam Chase) drops in to chat his career so far, Whitewolf Wrestling, the Spanish wrestling scene and more. 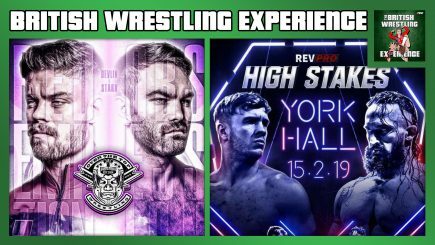 Martin Bushby & Benno are back to talk Fight Club Pro: The Eighth Rule Of Fight Club (Tyler Bate vs. Daisuke Sekimoto), Revolution Pro’s British J Cup and World Of Sport Episode 8. 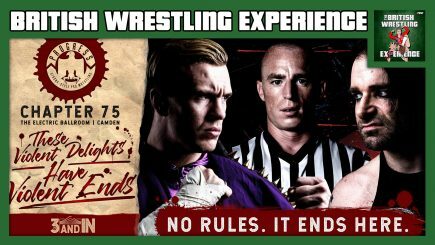 Martin Bushby, Oli Court & Benno are back to talk Progress Chapter 75: These Violent Delights Have Violent Ends (Will Ospreay vs. Jimmy Havoc), Over The Top’s Wrestlerama 2 (WALTER vs. Jordan Devlin) and Defiant Wrestling Stacked ‘18 (Will Ospreay vs. WALTER). 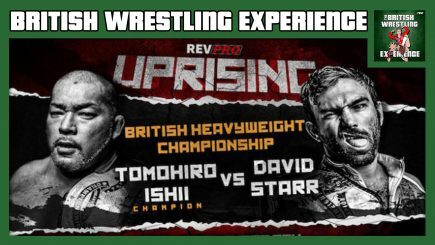 Martin Bushby & Benno are back to talk Revolution Pro Wrestling “Summer Sizzler 2018” (Walter Vs Tomohiro Ishii), the latest episodes of World Of Sport and the upcoming shows from WWE NXT UK. They are also joined on the show by Historian/Author John Lister to talk the life and career of Doc Dean. 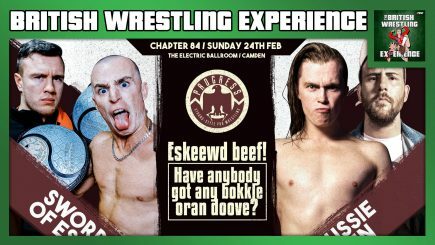 Martin Bushby is joined by Daniel Richardson to discuss his 14-year career in wrestling. 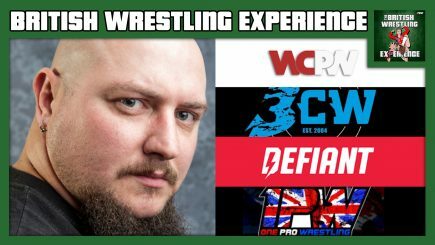 They discuss his time behind the scenes booking for What Culture Pro Wrestling and its successor Defiant Wrestling, his dealings with WWE, his consulting role on World Of Sport and the many books he has authored under the pen name James Dixon.